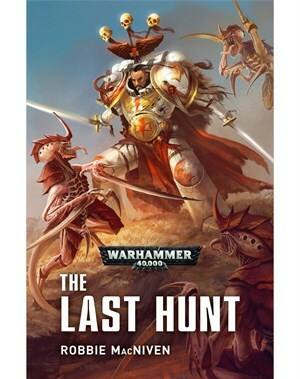 The White Scars get a rare outing in the 41st millennium in a high-octane action novel which sees the Khan's sons defend their hunting grounds from the might of the hive fleets. Looks promising, just picked it up. I hear its set post the great rift. Finished it. A pretty solid and worthwhile white scars read. I give it 8/10. Though the ending, that was unusual. I did not see -that- comming. I had no idea they could do such a feat. In less than three hours? Always been a fast reader, but it definitely wasn't an overly long novel. But I enjoyed it, hit all the right notes established from Scars and Path of Heaven. The White Scars are so characterful and unique now, compared to many other legions.